Talk to your kids about credit cards, otherwise, they’ll be fodder to credit card companies. That’s the sign of the times, when you see credit card company booths set up at campuses to snag students with offers of fun souvenirs like t-shirts and frisbees. What a lousy deal but it happens all the time! How successful are these promotions? Seniors graduating from college acquire an average of $3,000 in credit card debt spread across at least four cards by the time they’re out of school. Financial institutions get more and more creative with time as they build loyalty in their products. They start early by coming up with ideas that will lure preteens and young teenagers into their fold so that the “brand” familiarity takes over when the young individuals apply for successive loans. These loans accompany and grow with them through each step of their lives and progress from credit card loan to student loan, car loan and onto bigger debt such as a mortgage or home equity line of credit. #1 Give away free stuff if someone signs up. This seems like a pretty common marketing scheme. Companies make everyone happy by setting up shop somewhere, and offering goodies and freebies. It’s just that they do this in exchange for your financial future. A really bad trade. #2 Offer fashionable credit cards. I was shocked to hear about how credit cards are seen by some as a fashion statement. This must go down as the strangest reason why to get or even “collect” credit cards. Some people are enticed into collecting them because they are “cute” and are cool. SavingAdvice.com suggests why not just apply some “credit card skins”(!) to your card if you’re after the cosmetic factor. You can “pimp your card” by doing a few steps? #3 Offer even more cool, configurable or designer cards. Here’s an extension of the “cool credit card” idea. Why not have the ability to toy around with your credit card design with this configurator? Using a cool car as the concept for the credit card design is also very tantalizing. What kid wouldn’t wish for a card like this? #4 Bridge spending and earning between online gaming worlds and the real world. 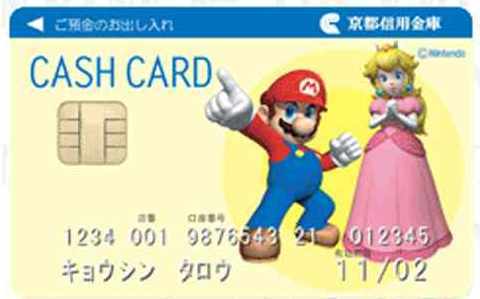 Very soon, credit card companies and game makers will reward their customers who spend money in the real world using private label “rewards” credit cards. They will use gifts of virtual currency such as Blizzard’s World of Warcraft gold and Second Life’s Linden dollars. It’s not a matter of if, just when – credit card companies, Pay Pal, Amazon, eBay and the individual “gaming” companies eventually bridge the real and virtual currencies with loyalty programs and private label credit cards – there’s too much money out there to -not- to do this. #5 Introduce the concept of using cards for spending with debit cards geared for the teen and under set. Start them early, thinks the big corporation. 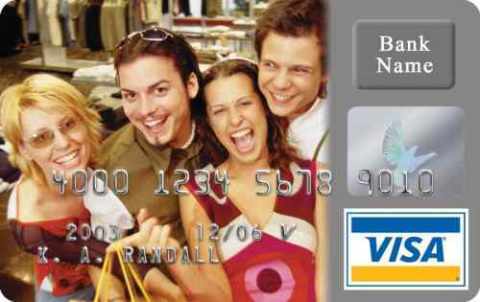 Pre-teens are now being cultivated as plastic card spenders starting with debit cards like Visa Buxx and the PAYjr. 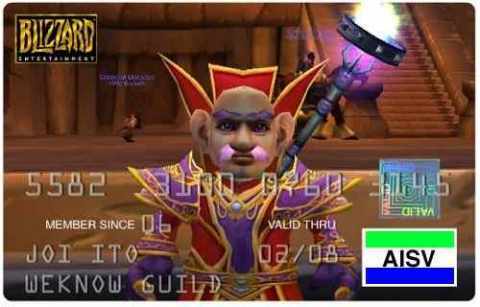 Mastercard. These are products that allow parents to prepay and track their children’s spending. Oh yeah, it’s also customizable. It sure sounds like companies have come up with these products under the guise of “educating” a child how to use plastic, when in fact it serves the purpose of encouraging changes in spending habits. Detractors have described the as “credit cards with training wheels” while card companies call them “life lessons”. What could be juicier than the prospect of a kid who knows how to use a card for spending? This just reminds me of the ruse of getting parents to apply for life insurance on a child with the justification that it’s so much easier or cheaper for a child to qualify for it when started early. So what can parents do about such a marketing onslaught? My first thought is that we shouldn’t allow kids to have cards, period. Until they’re adults, earning their own keep and responsible for their own finances, expenses and such. In fact, I’d go further and say that credit cards shouldn’t be used at all until there’s something substantial in one’s bank account. That may not be a practical set up, but would hopefully avoid the trouble that uncontrollable debt heaps up on someone vulnerable. Teach your kids how finance, saving and credit work before handing them a debit or credit card. I recall how I applied for my first card in my early twenties after I got my first job. Since then, I’ve never used my card(s) unless I knew I could pay the balance in full. I didn’t want to pay the card company more for items I just bought. I was too stingy to let that happen. Does the child have a job? Will he be paying the balance every month? Does he understand about the interest he’ll be charged if he doesn’t pay it off every month? Adhere to strict limits on the use of the card or perhaps consider starting off with a debit card, where the worst case scenario causes the corresponding bank account to get wiped out. At least, you child can’t do damage beyond that. Wow! I love the way you present all the fancy cards. I think it is going to be in Malaysia soon. 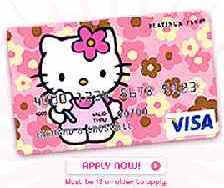 Even though now the bank only offer credit card to adults, it is expected to spread to our kids someday. Those are some nice cards but it’s a shame how these are being used to tempt younger people into spending and getting into debt. Parents need to start early to give their kids the information they need to steer away from the early cycle of spend and debt. This is just getting ridiculous. When are we going to step up an put these stupid credit card companies in their place? Actually, I was meaning to make the point that we need to wisen up to what the card companies are doing, especially if we happen to have pre-teens and older kids who may get a wind of what’s available out there. If I had college-bound kids, I’d hate for them to fall prey to these sort of campaigns — to be informed is to be armed! I think when my kid starts asking for a credit card, I’ll give her one that is from me. I’ll be her bank. She’ll have a credit limit, and she’ll have an interest rate, and late fees, and a default rate and over limit fees I can think of. She’ll make payments to me out of her allowance. I’d rather that she was paying me her over limit fees and interest than a bank, and she might get the point pretty quick that it costs a lot of money to use credit. Right now, credit cards seem to be kind of a lawless, anything-goes kind of industry. It sort of reminds me of the early days of the tobacco industry. Big credit is probably aware there’s due to be a backlash at some point, and excessively targeting cards at kids would be the kind of thing that could set it off. I imagine they’re treading carefully while still scooping up as many handfuls of cash as they possibly can. In addition to kids understanding about interest, hopefully they can learn to understand terms and conditions. No one can, at least not completely, but at least they should know that the terms *always* favor the credit card company, not the customer. There’s a really good documentary I watched last month online that was produced by Frontline two years ago about credit cards. It’s pretty gory! It is CRAZY what credit card companies do to get people to use their products. Targeting kids seems really unfair to me! Where does this stop? Will they sell their cards to toddlers next? This is frankly immoral and will eventually lead to people thinking there is no other way of spending than to be in debt. The fact is the markets of the world depend on consumers borrowing and spending to help fund government borrowing, and it is unsustainable. If you are going to consider a credit card for pity’s sake shop around a bit and know who you are signing up with; most credit card companies don’t even check your signature! I got my first card when I entered college. I didn’t get it for any reasons above. I got mine because I mistaken credit card as a symbol of adulthood and financial independence — how silly was that? I think it’s bad enough for freshmen to be able to get credit card back then (I graduate with credit card debt), to pitch it to anyone younger should be a crime. If only I had not signed up for that credit card the first day of college to get a free pizza…. Focus on teaching your children how to manage money and build wealth; they won’t ever need to worry about “establishing credit.” Thankfully, Cash still speaks louder than FICO! It’s crazy that credit companies go so far to get teenagers in deep debt. This brainwashing is intolerable! The credit card companies do not MAKE anyone use their products. They do not need to be punished for marketing them. Parents must take the responsibility for using credit wisely as well as for teaching their children to do so when they become old enough. Unfortunately, many parents DO NOT use them wisely and pass this example on to their children. I think people will always be looking to make money on young people – they are highly impressionable, prone to all sorts of external pressures, and emotionally unstable. They are the prefect combination of factors that will create the perfect consumer! All a company has to do it get them early enough and the loyalty that the grow in them will make them a customer for life. College students have a responsibility to learn about credit cards before they apply for one! I think teaching our teens how to handle money is a very important way. With them having a credit card, they need to be responsible with his/her new credit card and ensure that his payments will be made on time to establish a good payment and credit history. Your teen will also want to keep his credit card charges to a minimum as well!